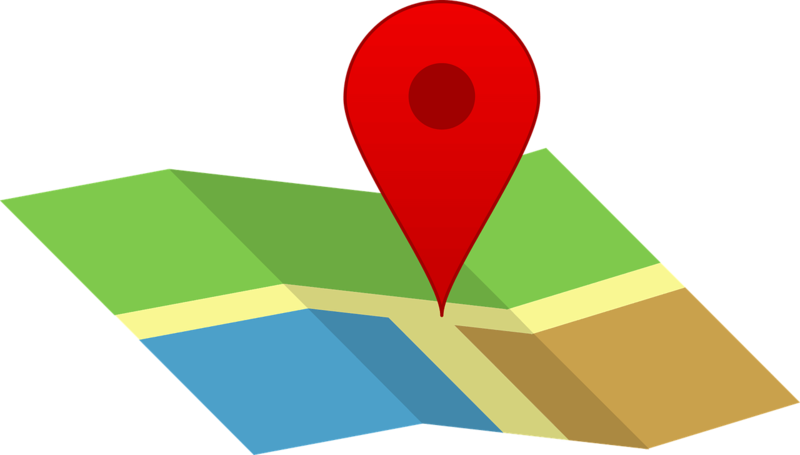 Can Google Pinpoint When You Last Visited a Location? This past April, Google has been working on rolling out it’s new timeline feature called “Your Timeline” — and some of the information it includes is so accurate it’s scary! Users can also see previous visit information such as the exact date and the length of time passed since the last visit. All of this is displayed on individual place cards for locations and businesses. 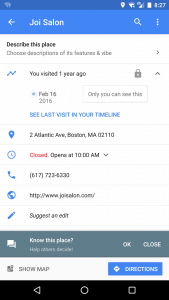 In the example shown, a local search for “hair salons near me” displayed a list of hair salons in the North End of Boston, one of which whose place card included information of when I last had an appointment. So what does this mean for SEOs and businesses? In theory, the Your Timeline feature should help storefronts improve the number of repeat customers. This also makes it pertinent to have all of your Google Business information up to date and accurate to prevent confusion for users and Google. If you’re having trouble with your Google Business page or want to improve your online visibility, contact our SEO company in Boston today!